Become A Powerhouse Of Concentration With Daily Meditation! Concentration is an important skill required by each one of us to excel at whatever we do. Be it studying, working, or even sports, a high degree of concentration will bring you closer to success and give you an upper hand over the competition. Perfection comes from practice and diligent practice can only come from the concentration of your efforts and your mind. When you read something or sit in a classroom, in a lecture or seminar or even a meeting, your mind tends to wander off into the distance and you fail to grasp the topic being discussed at hand. This can be damaging to your work, your career, and your reputation. You need to concentrate on the task at had to be able to deliver good results, be it at the university or in the boardroom. Meditation is one of the most powerful techniques to help you improve your power of concentration. Meditation removes unwanted thoughts from your mind for a little while and trains it to focus. The objective is to free up your mind as much as possible and think of ‘nothing’ for as long as possible. It helps create a habit of focus and prevents your mind from wandering away. It helps bring your thoughts under your voluntary control. Concentration is nothing but basically ‘attention control’. As long as you can control what you are paying attention to, you can unleash an unmatched level of productivity in whatever you do. Step 1: Find a place that is evenly lit and free of any distracting electronic devices such as cellphones etc. The noise levels must be minimal. Step 2: Sit down in an upright posture with your legs folded and keep your arms at your folded knees. Make sure the temperature is comfortable and your stomach isn’t too full and also don’t be hungry. Step 3: Once you are comfortable, close your eyes, take deep breaths and try to remove all thoughts from your mind. It may be extremely difficult at first, no matter how much you try, thoughts will randomly pop up in your head, every few seconds. Like everything else in life, you will get better with practice. However, one easy way to beginners to empty their mind is to focus on breathing. Inhale and exhale deeply filling your lungs with fresh air each time and count your breaths to yourself. Keeping count of your breath will prevent your mind from wandering and help calm your mind into a meditative state. Make it a habit – Meditation, like exercise, does not show immediate benefits from day one. However, if you keep doing it, even for only 15 minutes every day, religiously and without fail, you will start to notice the effects it has on your overall mental state. You will start to remain calmer and focused throughout the day. Inculcating the habit of meditation easy when you set aside a time of the day for it. Most people prefer to meditate early in the morning and start their day on a positive note. Many people also like to use a variety of meditation accessories to improve their daily practice. 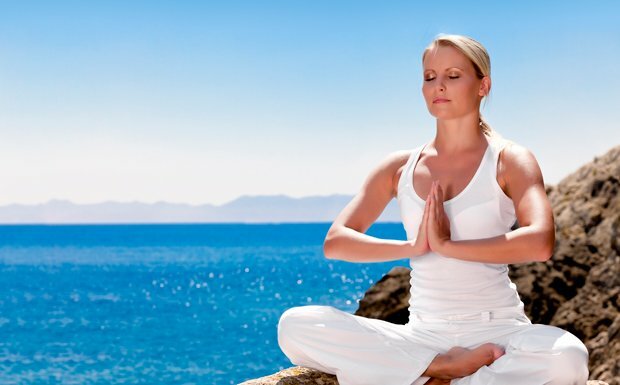 Eat Healthy – Meditation is like exercise for the mind. Thus if your mind is exercising on a regular basis it needs nutritious food to help improve concentration, just like your muscles need protein to build up. Your mind will only be calm during meditation if your body, including your alimentary canal, is completely at ease. If you eat junk food, your stomach is not in goo shape and it will not allow your mind to focus. Your body will not remain in a comfortable state. Stick to organic food as much as possible and have an anti-inflammatory diet. Thus meditation can be an amazing technique to greatly improve your focus and the ability of your mind to concentrate on whatever you want it to focus on. Now that you know the steps involved in starting a daily meditation ritual, it should be your number one priority to make it a part of your daily life. The reason why many successful people meditate every day of their life is to keep the distractions away and stay focused on their goals. There is no reason why you cannot do the same.